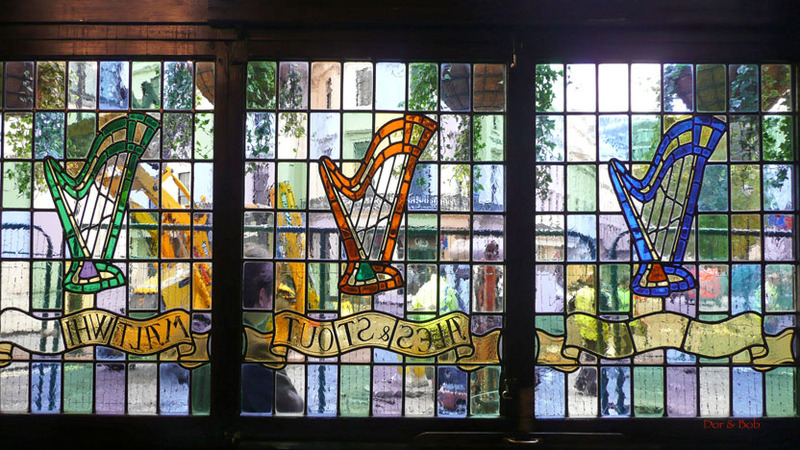 The Harp is a small, long, narrow pub with tall ceilings and a lovely pastel stained glass window in the front (stained glass harps!). A wooden bar is in the middle of the space making it a room in the front, a hallway past the bar, and a room in the back. The bar itself has a couple shelves above it that are decorated with a wide range of beer coasters. The walls are decorated with painted portraits. The beams are painted red and there are ceiling fans. The atmosphere was humming on our visit during the lunch period, mostly filled with people in business suits. The beer selection was excellent - 6 real ales. On our visit: Copper Dragon (replaced by Hopback Breweryâ€™s Summer Lightning), Deuchars IPA, Tribute, Black Sheep Best Bitter, Harveyâ€™s Sussex Best Bitter, and Timothy Taylor Landlord. 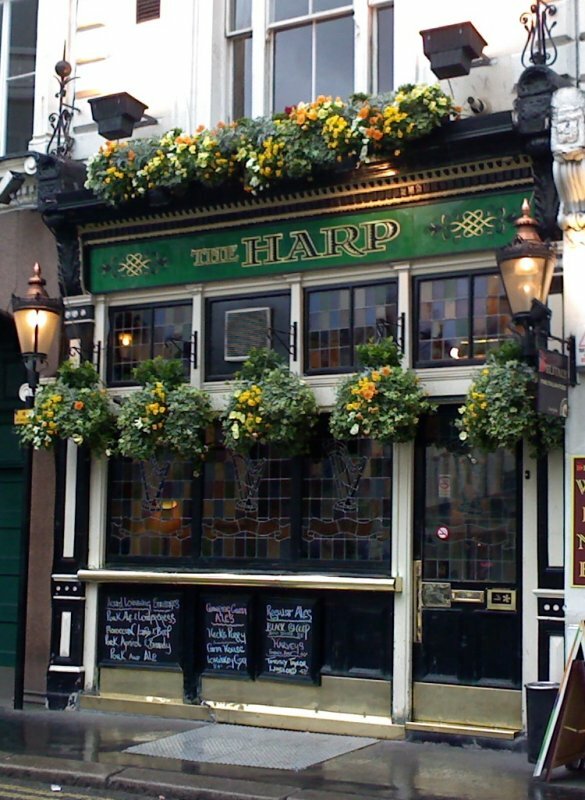 It's sometimes mistaken for an Irish pub and, while Irish-owned, The Harp is very much an English boozer. 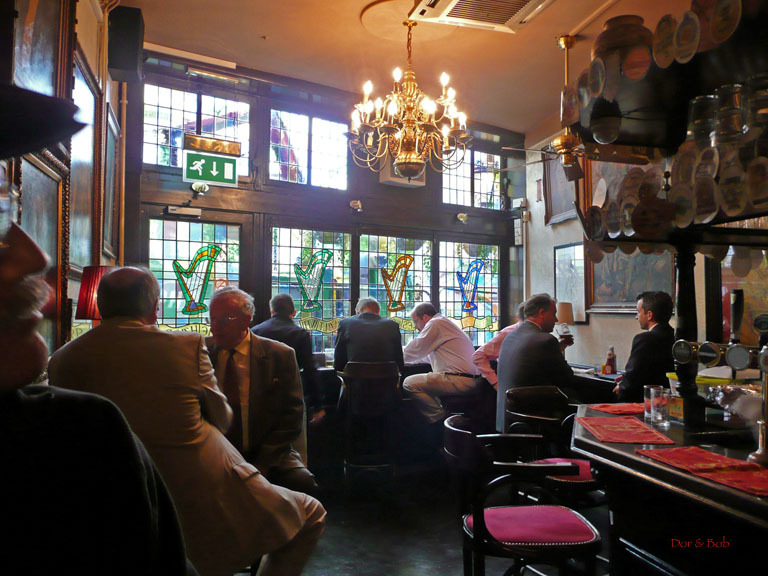 The interior is rather plush, with tasteful regency bric-a-brac and portrait-adorned walls. There's something quite theatre-like about it, which is perhaps not surprising given the neighbourhood. 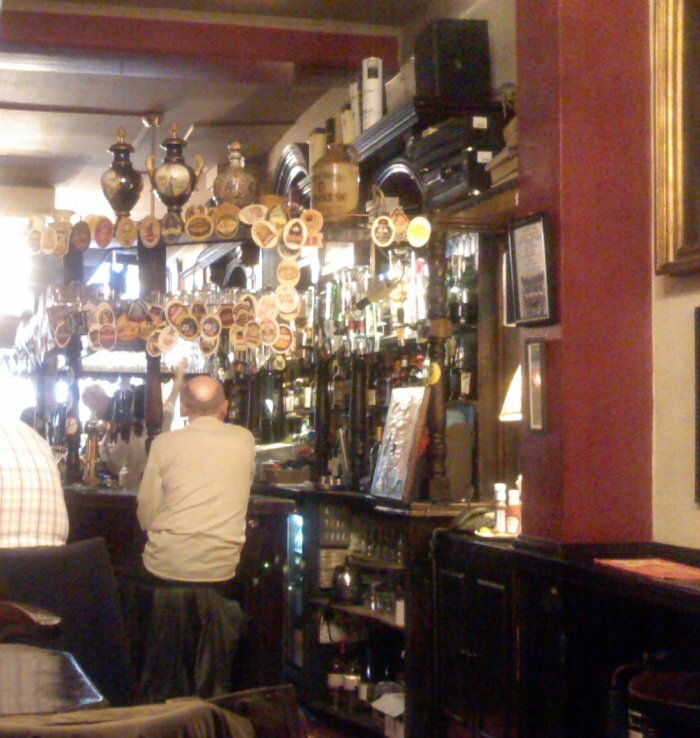 The small bar, festooned with old pumpclips, pinches the salon in the middle, separating the front section, with its clusters of stools, from the back where parallel rows of tall benches are arranged. 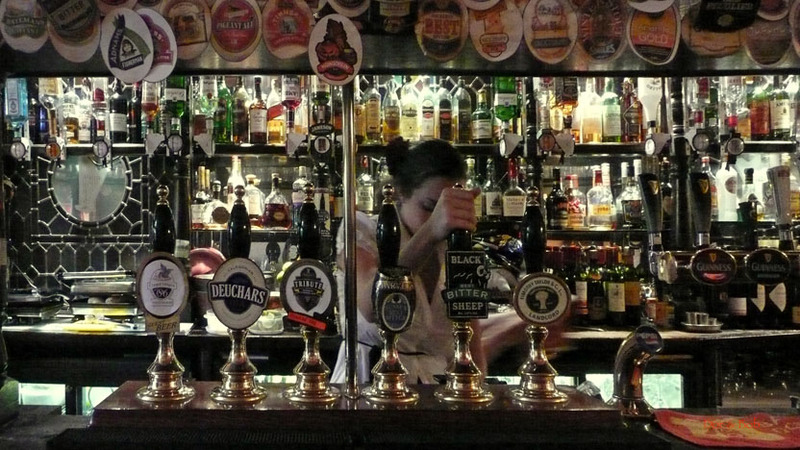 The house ales are a solid bunch: if you can't find something to like in Harvey's Bitter, Black Sheep and Landlord then get out of Britain. There's always a handful of guests as well from breweries up and down the country. Nothing interesting in bottles, however. 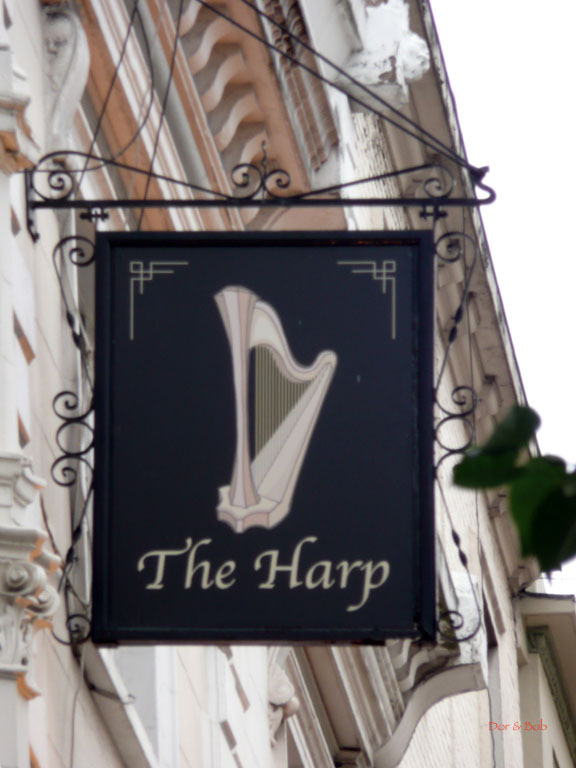 Given some of the nightmares that pass for pubs in this part of touristy London (qv The Porterhouse down the street), The Harp is a real find and well worth a visit, whether working through the full range or just ducking out of a shower.